We’ve seen this movie before. The team with the best defensive system and kicking game usually goes on to win big matches and tournaments. The Boks won the World Cup in 2007 thanks to a pragmatic approach. The Bulls won three Vodacom Super Rugby titles via a game plan that relied on kicking as much as running (in 2007, the Bulls were the joint-leading try-scorers across the league phase). The All Blacks as well as the New Zealand sides don’t get enough credit for their offensive defence and kicking game. How often do we see those contestable kicks regathered, those well-weighted grubbers chased down, or those kick-passes resulting in a break and try out wide? Last year it was Joe Schmidt’s Ireland who were the undisputed Kings of the Kick. 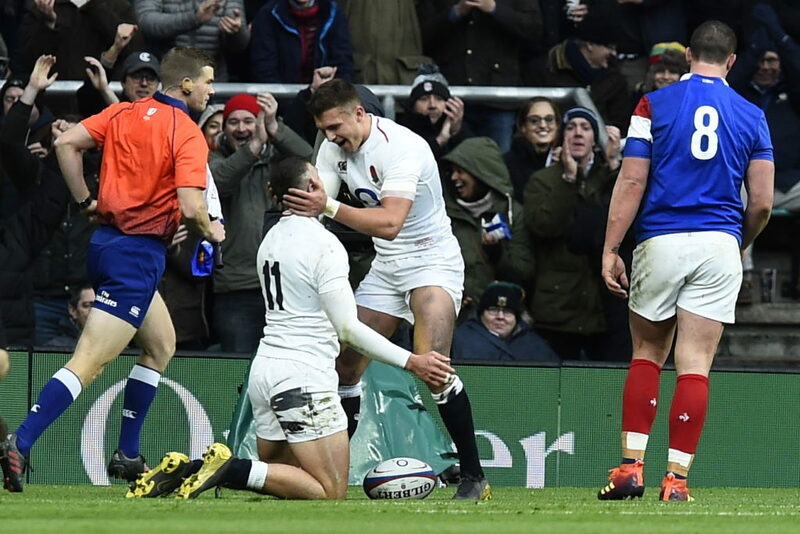 Then they came up against a meaner and more tactically astute England side in the opening round of the 2019 Six Nations and were comprehensively thumped 32-20. That’s the result that would have got coaches around the world thinking. England followed up with another tactical masterclass against a weak France side in round two. The fact that they outmuscled and outkicked Ireland, though – and scored four tries in the process – is significant. England have made a mental shift since the arrival of defence coach John Mitchell late last year. While the win against Ireland in Dublin was a statement, more should be read into their log position (first) and points-tally (10) after two rounds. The Six Nations title is theirs to lose. South African teams are still struggling to strike a balance between running and kicking. The quality of the defence has been poor when one considers that the Bulls conceded 66 tries last season – the second-most – while the Lions, Sharks and Stormers also failed to repel the best sides. The Lions, one of the leading defensive teams in 2017, regressed in 2018. There were some encouraging signs from the Boks last season, with the wingers attempting to win contestable kicks and the defence working hard to put attacking sides under pressure. In the first half of the Test at Loftus Versfeld, the Boks’ tactical kicking was on point and they bossed the All Blacks in the territorial stakes if not on the scoreboard. Under the guidance of Rassie Erasmus and defence coach Jacques Nienaber, the Boks are developing the means to overcome the best teams on the planet. They aren’t the finished article just yet, and it remains to be seen whether they will have the players – particularly at No 9 and 15, if Faf de Klerk and Willie le Roux break down – to execute the kicking game at the World Cup. The Super Rugby tournament will give the four local franchises an opportunity to buck the trend against smarter and more physical teams. It will also give individuals a chance to show Erasmus and company why they will be an asset at the global tournament in Japan. Sure, we want to see players running at the line and breaching the defence – like Handré Pollard did in a recent warmup game against the Stormers. However, when the defence is well organised and there’s no way through the middle, players must have the ability to create opportunities via a chip kick, a grubber, or a kick-pass. Pollard and Elton Jantjies will be under pressure to develop in this manner over the next few months. Damian Willemse is another who will need to take his tactical kicking game to another level, whether he is playing at 10 or 15 for the Stormers. Le Roux is expected to fulfill the Elliot Daly-role for the Boks at the World Cup. Willemse had a rare opportunity to start at 15 against England last year, and could do with more game time in the position if he’s going to be used there in Japan. Warrick Gelant of the Bulls and Curwin Bosch of the Sharks will also have a point to prove in this department. Erasmus should be watching the respective scrumhalves closely. How they manage the game, and particularly the kicking game, could determine the success of their franchise and increase their own chances of travelling to the World Cup. It will also be interesting to see how the Bulls go about managing two Bok scrumhalves. Embrose Papier started only three matches for the Bulls last year. The youngster needs to be backed more consistently if he’s going to develop his all-round game. The Boks are finally on the right track. The opening rounds of the Super Rugby tournament will reveal which of the South African teams have embraced a balanced approach and which of the sides are still bent on a one-dimensional and largely limited game plan.